This entry was posted	on Tuesday, August 24th, 2010 at 12:13 am	and is filed under Podcast Episodes. You can follow any responses to this entry through the RSS 2.0 feed. You can skip to the end and leave a response. Pinging is currently not allowed. Just wanted to let you know how much I enjoy your segment on Inside Azeroth, it’s fast becoming my favourite part of the show. 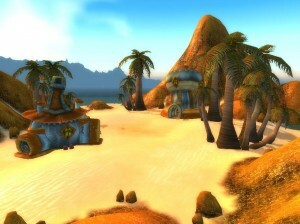 I love exploring Azeroth, and had found a few of your featured places, but most have been brand new. Like you, I really find extra enjoyment in WoW by exploration and am attempting to put together enough different places to keep it interesting. In addition to listening to the segment on All Things Azeroth, be sure to share your own travel or destination experiences. Thanks again and keep listening!